In the (sometimes overwhelming!) world of online business and marketing, people talk a LOT about the best ways to craft your brand voice and about the need to show up authentically in your messaging. But what does all that actually mean? And how the heck do you get started with it? What is your brand voice, anyway? The Muse defines brand voice as the “heart and soul of your communications. More than specific words and phrases, your brand voice is the tone in which you speak to and connect with your audience” when promoting your business. Or to put it more concretely, it’s how you come across to your audience when they read your website copy, emails, and blog content. Essentially, it’s the impression you create of yourself and your brand via your messaging. So maybe you’re naturally irreverent and colloquial in your messaging, and people think of you as fun and witty. Perhaps you tend to be meditative and inspirational, and your audience sees your work as rich food for thought. 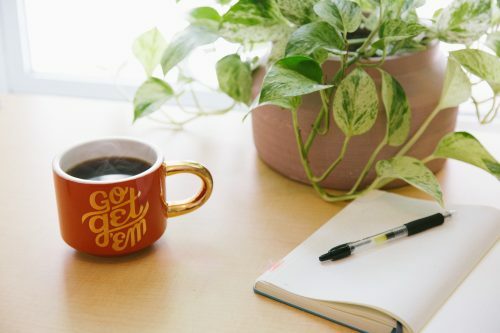 Possibly, you pride yourself on creating writing that’s very well-researched and in-depth in its approach, and your readers find your content incredibly informative and helpful. Or maybe you like to be encouraging, with a dose of self-deprecating humor, and people appreciate how you motivate them and make them laugh. 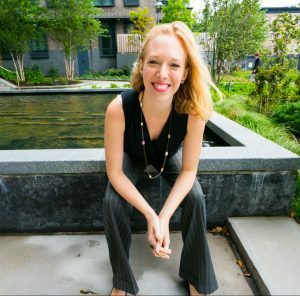 Whatever your natural style of communicating, if you’re a solopreneur, that natural style of yours should almost definitely be your brand voice. "Wait, I thought a brand voice was more complicated than that!" Well, there’s a reason you think that. It’s because, as Sprout Social puts it in their article about brand voices, “companies have to rely on building a brand voice on platforms like social media to help distinguish themselves from every other brand”. And big companies can’t rely on using just one person’s voice as their brand voice. 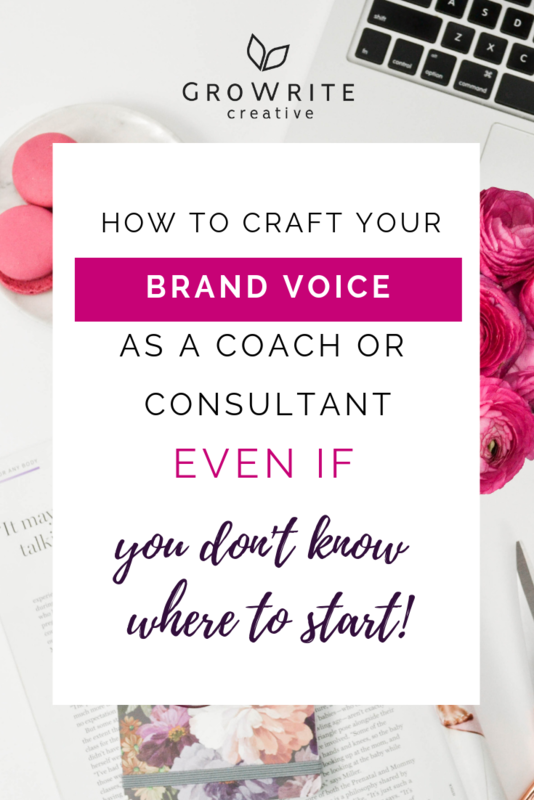 As they usually have multiple people who handle their marketing and copywriting, they need a clear brand-voice style guide that everyone can refer to, to ensure consistency across their various social media platforms, ads, and content pieces. This means they have to go through a fairly intense brand voice definition and positioning process, to come up with a viable long-term voice that’s different from that of their competitors. But as a personal brand, you have an in-built advantage. Basically, you can use your personality and natural style of communicating to communicate in a way that’s not only true to you (and therefore easy to maintain in the long run), but in a way that’s also totally UNIQUE. Because you’re already a multidimensional human being with lots of little speech quirks, phrases you say a lot, a specific way of talking, and a communication style that you’ve drifted towards as a preference without even thinking about it over the course of your life. Don’t worry about sounding different from other people in your industry. And just be who you ALREADY ARE in your messaging. 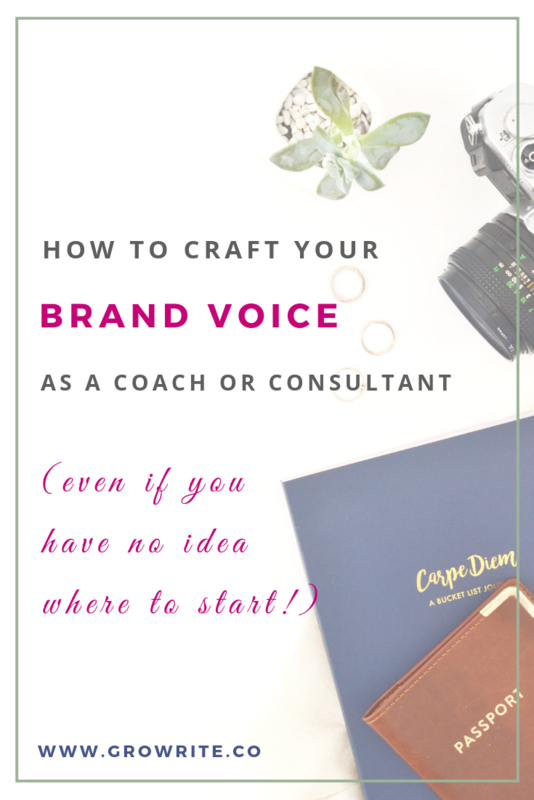 But I still feel unsure about how to craft a brand voice! In the world of online business, we can spend so much time reading and listening to other people’s stuff that we can start second-guessing ourselves. Sometimes, we find something we really like and we think we should sound like that. Or we start imitating the way other people communicate - often without even meaning to. We just absorb their vibe and voice, and then parrot it. It’s NOT about following the crowd. Get super-duper clear on what you DON'T like - or what simply isn’t YOU - in the way that others in your industry communicate. ​Honestly, this isn't just an exercise in raining on other people's parades. Instead, it's about finding and developing a niche for yourself, and communicating in a way that other people AREN'T. Plus, if something in another brand’s messaging is grating on YOU, you can bet that there are lots of other people out there who feel the exact same way and who'd be more than happy to see you adopt a different approach. Take a look around, visit a few competitors' websites, read through some ads in your social media feeds, and sign up for a few freebies and mailing lists, so that you can begin to get clearer about how you DON'T want to communicate. And *of course* you can get some inspiration from others throughout this process. Because this isn't about having you embrace a negative mindset where you disparage or look down on people. But at the same time, you don't want to imitate what everyone else out there is doing, and jump on the bandwagon of overused trends. Instead, you want to set your business strongly and definitively APART. Certain words that seem to be all the rage in your industry, but that you find kind of irritating. Make a point of not using them! Email sequences that bug you, whether that's in terms of how often their senders communicate or the actual content. Make a point of not creating emails like that! A consistent emphasis on something that you don't think it's helpful to focus on. Make a point of not highlighting that! Pretty quickly after doing this exercise, your brain should start leaping into problem-solving mode and coming up with a few concrete ways that YOU could approach things differently. Suzy ISN’T overwhelming or braggy. She IS empathetic, reassuring, and helpful. Suzy ISN’T pretentious or someone who takes herself too seriously. She IS humorous, and open about her experiences and struggles. Once you pay close attention to what you dislike or find irritating, you'll rapidly get clearer on what you DO actually stand for and appreciate. 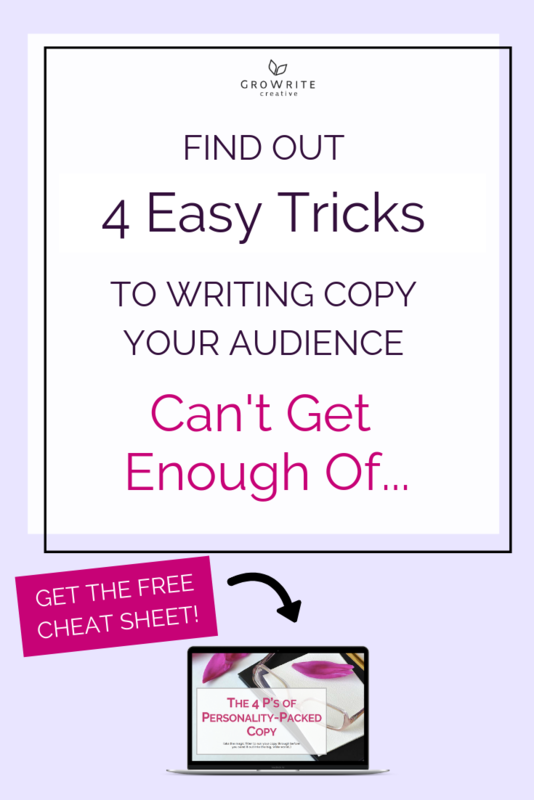 And then you can start implementing it in your copy and content! What are three words that you’d use to describe what your brand voice IS or ISN’T? Tell me in the comments below! 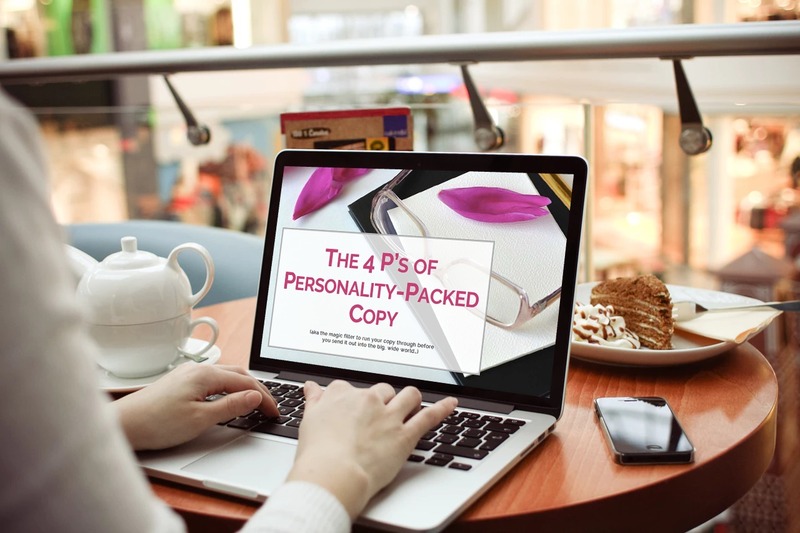 Plus, if you want to get more tips on how to use the power of your personality to create copy your audience can’t get enough of, go ahead and download my free cheat sheet on the 4 P’s of Personality-Packed Copy!